Partner Søren Zinck renders specialist advice within all aspects of competition law. 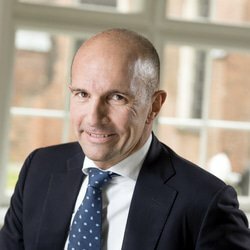 He regularly litigates before the European Court of Justice and the Danish courts, and during recent years he has litigated several of the major, leading Danish competition cases, including follow-on damages cases. Søren is extremely solution-oriented, pragmatic and business-minded in his approach on how to solve matters in the most efficient and best possible manner. Highlights include representing Post Danmark A/S in the Post Danmark I and the Post Danmark II case.